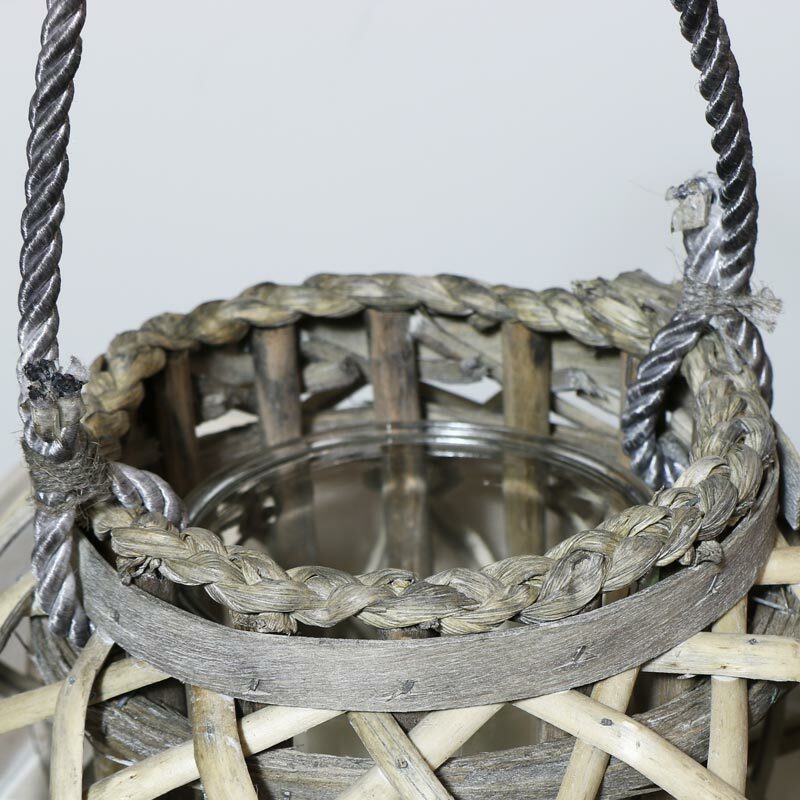 Rustic wicker basket candle lantern with hurricane glass jar holder. Tropical, botanical inspired design for use indoors and outdoors. 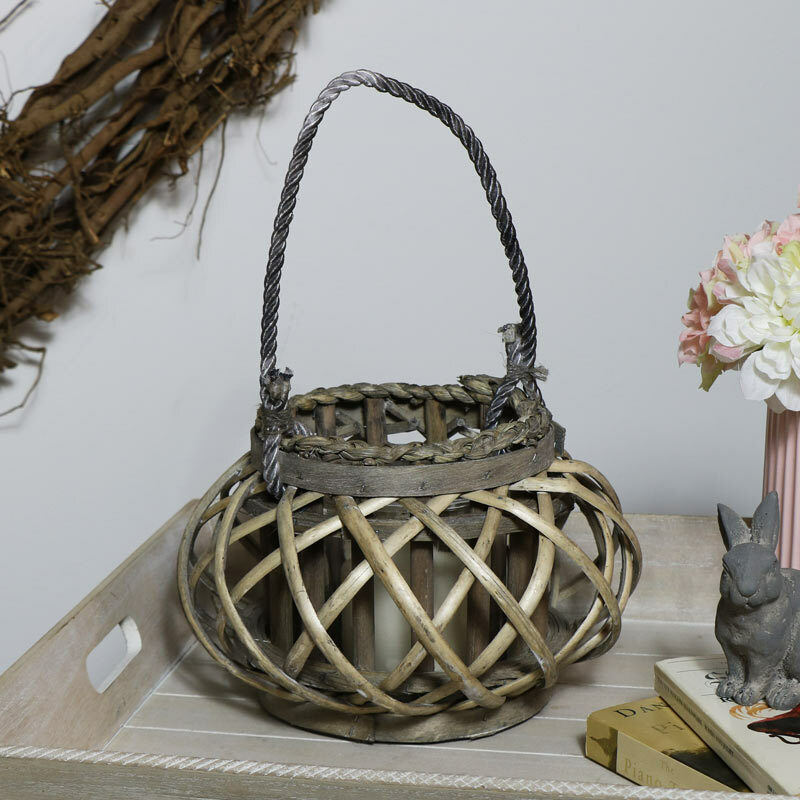 Rustic wicker lantern, can be used freestanding or hung from the rope hanger. Will easily hold large pillar candles, perfect for creating a warming atmosphere. Offering a fantastic look for the home and garden. Rustic wicker basket candle lantern with hurricane glass jar holder. Tropical, botanical inspired design for use indoors and outdoors. 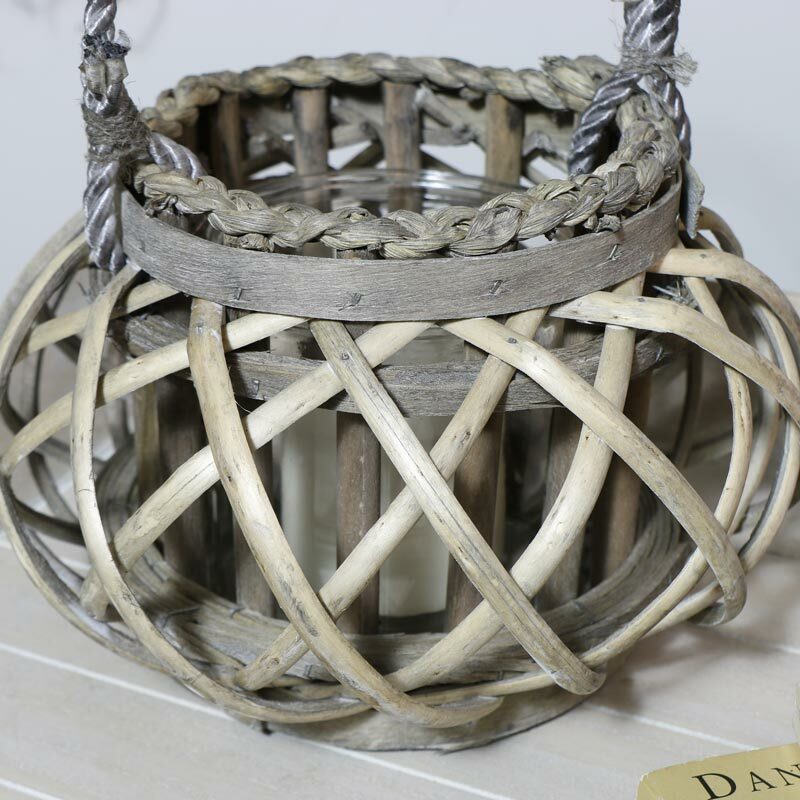 Rustic wicker lantern, can be used freestanding or hung from the rope hanger. Will easily hold large pillar candles, perfect for creating a warming atmosphere. Offering a fantastic look for the home and garden. Wooden structure with wicker detailing on the outer, complete with protective glass candle holder inside and rope hanger. The glass insert measures 12.3cm x 12cm (width x height). This lantern is a great addition to our selection of candle holders, candlesticks and candelabra, just perfect alongside all of our gifts and home accessories.